Over the weekend I saw Les Miserables. I had never seen the musical, read the book, or seen the previous movie adaptation starring Liam Nesson. What a great movie. If you haven’t seen it yet, you should. Everything about the movie was great; acting, cinematography, directing, music, singing (Yes Russell Crowe by far had the weakest voice, but you’d be hard pressed to find an actor who could better capture the presence of the relentless Javert). More than simply enjoying the movie, I was left with a desire and hunger for more. I don’t know much about Victor Hugo other than that he wrote the Hunchback of Notre Dame as well. I don’t know what his religious affiliation was, but it is quite clear he had been influenced by a biblical worldview and its understanding of law, grace, atonement, justice, sin, depravity, and wove those themes into his work. There is so much depth to that story that I don’t even know where to begin if we were to discuss what all makes it so great other than to say it is a beautiful piece of art. 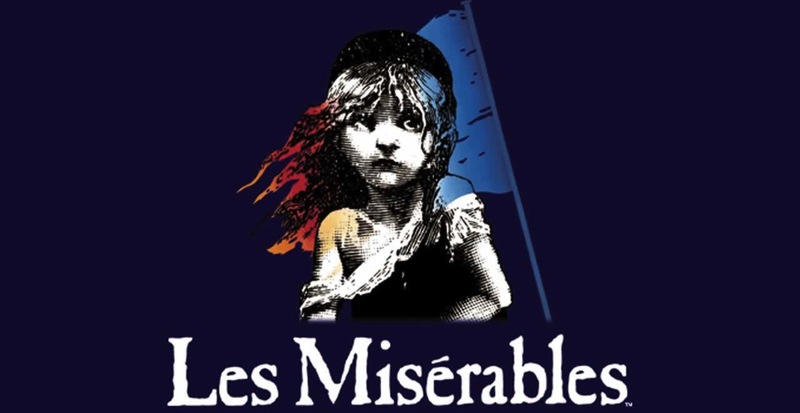 Les Miserables is the kind of work that Christian writers, artists and musicians of today should aspire to make. Les Miserables puts Facing the Giants, Fireproof, and other “Christian” movies to shame. I know that’s a really strong statement to make but allow me to explain what I mean. There was a time, not that long ago, that we didn’t have this divide between the sacred and secular. You may think that this divide is a good thing but it’s not. All it has done is spawned a separate Christian sub-culture where Christians make art for other Christians to enjoy. In other words Christian art is for Christians only, not the masses. Christians or at least people who thought Christianly because they had been influenced by a biblical worldview were at the forefront of music, the arts, architecture, etc. Christians were making beautiful things that were accessible to everyone and available for all to enjoy, and not just those who frequented the Christian bookstore or the Christian music section. The work they produced was done with the kind of excellence, creativity, and originality that I feel is often times missing from the work we produced in the CCM world. The last thing we need is another generation of musicians who will make the latest version of “Amazing Grace” or “Better is One Day”, perform for and are promoted exclusively to Christian audiences. For the next generation of artists, writers, storytellers, thespians, and musicians being in the world but not of it needs to become more than just taking familiar cultural forms and throwing John 3.16 onto it and calling it Christian. For them being in the world but not of it needs to become producing rich, thought provoking, and beautiful pieces of work that engages and is for the enjoyment of the masses, and not just the Christian masses. AMEN, AMEN AND AMEN!!! Preach it Ced!!! I think it was Francis Schaeffer in ‘How Shall We Then Live” that said that Christians of all people should be the most creative of all because we have the Creator dwelling in us. That’s why I love groups like Gungor and The Brilliance. They are truly creating music, not just using a formula to string together predictable chords and rhythms for easy sing-along, radio music. I love this post!!! Yay for Gungor and The Brilliance. Along these lines, I’d highly recommend reading Refractions by Makoto Fujimura and Jonathan Roger’s book on Flannery O’Connor. I haven’t read Gungor’s new book yet, but hear that it is great. The Civil Wars is another group of Christian artists making great music. Moreover, they have gone the mainstream route, and performed live at the Grammy’s last year. I’ll have to check out The Brilliance, but I love Gungor. You mentioned Sufjan Stevens on Facebook and I will be checking out more of his music after buying his Christmas album Silver & Gold. You guys need to holler at me when Gungor comes back to Charlotte. I remember hearing about you guys going to the concert but I had no idea what I was missing until I listened to Ghosts Upon the Earth. Years ago I read The Poetics of Music’ which is a transcript of some leecruts given by Stravinsky. He made a similar point; that out of the infinite combinations of pitches, tones, their durations, and their subsequent combining, creativity only came when you first decided on a very small subset and forced yourself to work only within those confines. Creativity comes from struggling to express something with a very limited amount of the resource you are working in and having to devise ways to make more than would seem possible with it. Haiku poems are a good example. A seemingly arbitrary restriction on the number of lines and of syllables in each line results in incredible poems. Cedric: I, too, love this post! I have often struggled with the problems of “segregated Christianity.” It is so easy to surround ourselves with all things Christian — the books we read, the movies we see, and our associations — that we miss out on being the Light — Christ’s Light — that He calls us to be…and the world so needs to know that Light! It is scary to leave the comfort of our Christian world to go out into the world, and even scarier to send out kids out there, but that is what we are called to do. It takes an amount of Biblical wisdom, an understanding of God’s great love for us, faith, and the encouragement and support of our Christian friends to stand firm in the midst of so much darkness and act on this calling. I thank God that our church is so supportive, helping to give us what we need so we can do it. Cedric, every day I send my kids out into a dark world. Each morning, I pray that Jesus will walk with them into the places that they go where I cannot go. I want you to know that it gives me great peace to know that they have the support and wisdom from people at our church. They often come home with stories of conversations that they have had with their friends, their teachers, the staff and even parents, that tell me that they are “getting it,” and not only getting it, but sharing it. Their stories make me smile. They really are sharing God’s Light in their own unique way as He leads them. They have conversations with people that I could never reach! You need to know that the ripples of your teachings go out far and wide. Thanks for a great post. I have shared it. Kelly the struggle with “segregated Christianity” which you just described is exactly why I have been wanting to do this seminar coming up on January 27th. Your right that it can be easy to surround ourselves with everything Christian. I once heard Donald Miller ‘joke’ that this current generation is the first one in history that could live their entire lives in a Christian bubble, “You can get home schooled or go to to Christian school. Then go to a Christian University, move to a neighborhood where the realtor assures you that all your neighbors are Christian, form all your relationships from church small groups and bible studies, and only eat at Chick-fil-a.” As a youth pastor I feel that if I’m discipling generations of students and shepherding generations of parents who only aspire to that kind of life then I’ve failed miserably. We need more than ever Christians who are willing to go into the gray and dark places of our world and society. I am convinced that less and less conversions should happen inside the walls of the local church, and more and more should be happening in the marketplace, the libraries, the museums, the cultural centers, and the public square if we are truly being the salt and light we are encouraged to be. I agree….and I do understand that it is often scary to do it. I have many interesting stories that my father has told me about where God leads him to share. It’s not where you would expect! I’ve sent the info out about the seminar. Sounds great! Great article Cedric!! I too saw les mis this past weekend and loved it! It is one movie I think I may have to go see again! I probably won’t since I still have a host of other books to finish reading but I wouldn’t mind giving the book a try. Paying off a house is not a lame thing to put on a bucket list. Not hanivg car payments is a great feeling, I can’t even imagine what it would be like to not have to pay a mortgage every month! In fact I can’t imagine what it would be like to not have to pay student loans either. Hmmm looks like I might have to steal a few of your ideas . I don’t know about taking the kids. We have taekld about that before. Maybe we will take the kids sometimes and leave them at home other times. Grandma is usually willing to watch them for a while! She is watching them in February when we are going to the Dominican Republic for our first adults only vacation in 5 years! When our kids get older, we will probably be more likely to take them with us.Les Mis in London is truly something that I want to do. I want to eat an amazing meal, drink a bunch of alcohol, and go see my favorite show live on a stage in London. I WILL DO THIS!